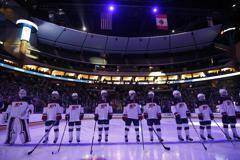 The U.S. Women's National Team fell to Canada in overtime, 2-1, here tonight before a crowd of 9,098 at the Xcel Energy Center in St. Paul, Minnesota, as part of The Time is Now Tour, presented by Toyota. 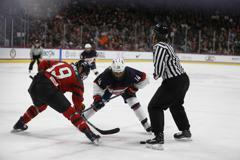 Team USA went on back-to-back power plays around the 15-minute mark of the first period, but could not convert despite several good chances on net. Neither team could break the ice in the first 20 minutes of play, leaving the game scoreless entering the second period. 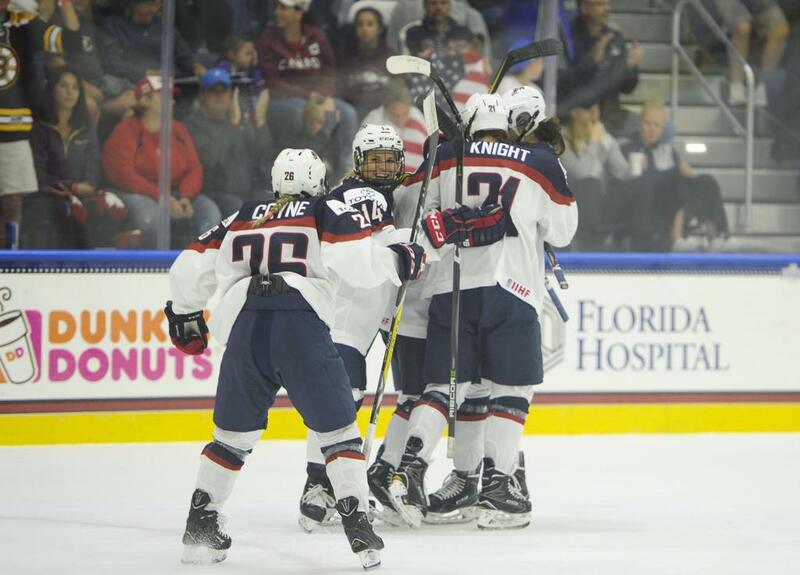 Just under a minute and a half into the second frame, Megan Keller (Farmington, Mich.) tucked in a rebound goal on the power play to put the U.S. on the board. 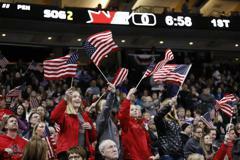 Team Canada netted the equalizer with 2:08 left in the second period to tie the contest, 1-1, after 40 minutes of play. 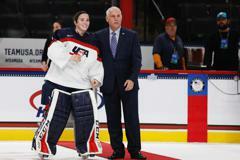 Maddie Rooney (Andover, Minn.) made two consecutive point-blank saves on a net-front scramble less than three minutes into the final period to keep the game tied, and finished with 12 stops in the last stanza to force overtime with the teams still even, 1-1. Three-on-three play lasted just 37 seconds before Team Canada won a faceoff, skated the puck down the right side, and shot high-blocker side past Rooney, ending the game at 2-1. Rooney stopped 24 of 26 shots in the loss. 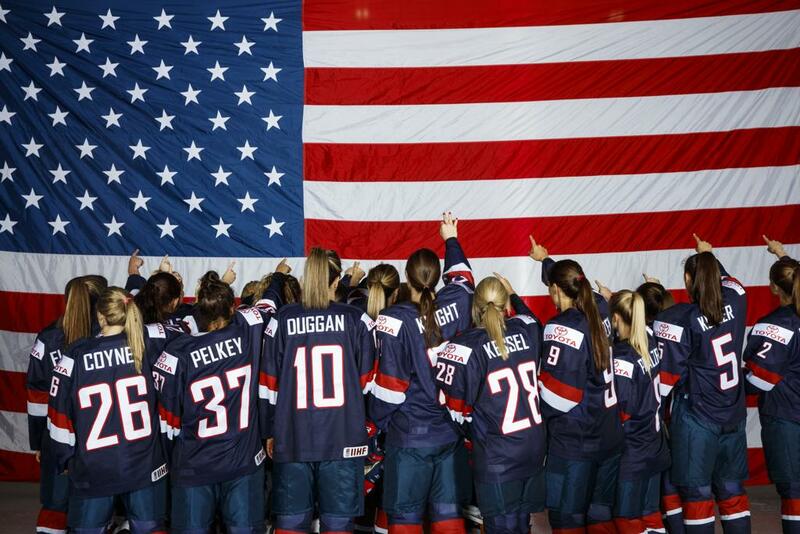 The U.S. returns to action on Tuesday, Dec. 5, at 8:00 p.m. ET against Canada at Bell MTS Place in Winnipeg. 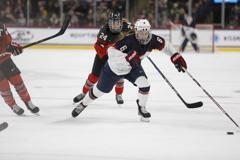 NOTES: The U.S. outshot Canada 28-26 … Maddie Rooney was U.S. 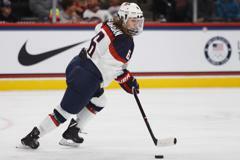 Player of the Game...For complete game statistics, click here… The Time is Now Tour consists of a series of games in the U.S. to assist the U.S. Women's National Team in preparation for the 2018 Olympic Winter Games. 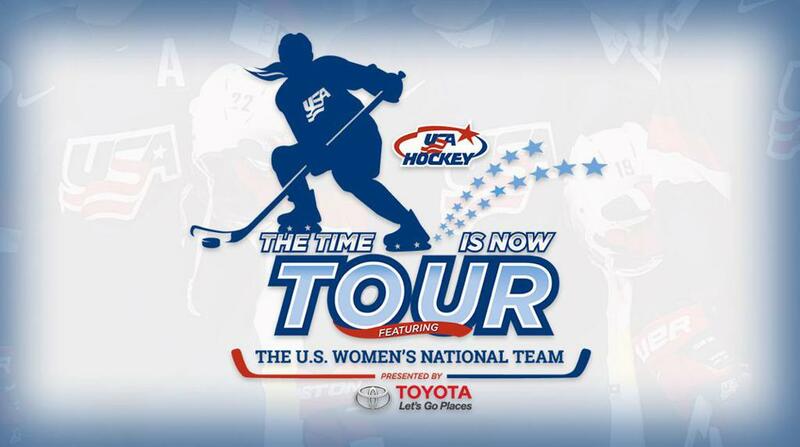 For more information, including the full schedule and ticket information, visit TheTimeisNowTour.com … For full coverage of the U.S. Women’s National Team, click here. 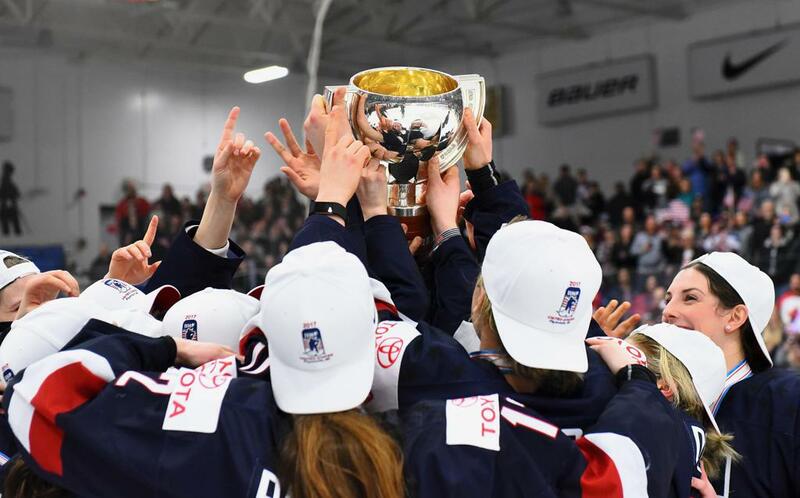 Follow along on social media @USAHockey on Twitter and Instagram, and Facebook.com/uswomenshockey. Quarterfinals this weekend; NCAA Women's Frozen Four to be held March 22-24 in Hamden, Conn.
Nine players registered points for the U.S.